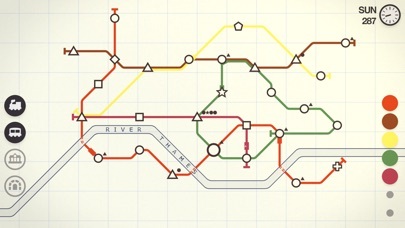 Mini Metro, the sublime subway simulator, now on iPhone and iPad. 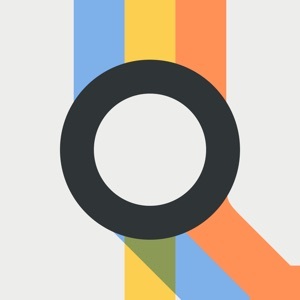 • Included in the App Store Best of 2016 • Mac Game of the Year in over 30 countries • BAFTA-nominated • IGF award-winning • IGN Mobile Game of the Year nominee • Included in Gamespot's Best Mobile Games of 2016 Mini Metro is a game about designing a subway map for a growing city. 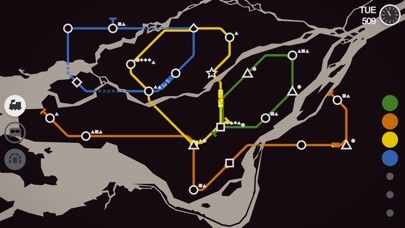 Draw lines between stations and start your trains running. 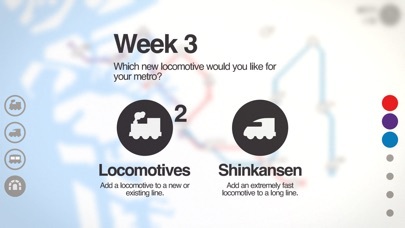 As new stations open, redraw your lines to keep them efficient. Decide where to use your limited resources. How long can you keep the city moving? 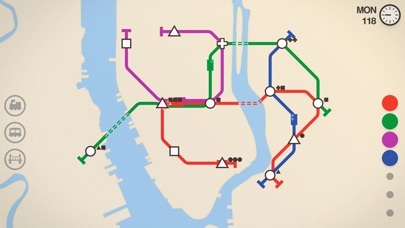 • Random city growth means each game is unique. • Twenty real-world cities will test your planning skills. • A variety of upgrades so you can tailor your network. • Normal mode for quick scored games, Endless to relax, or Extreme for the ultimate challenge. • Compete against the world every day in the Daily Challenge. • Colourblind and night modes. 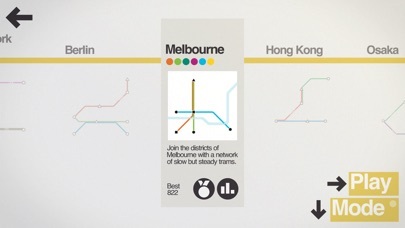 • Responsive soundtrack created by your metro system, engineered by Disasterpeace.